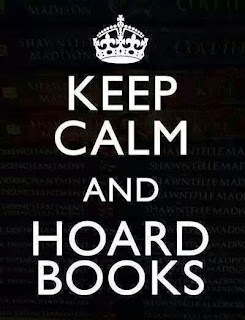 Reflections of a Bookaholic: It's Okay. I Promise. I haven't bought a new book in a long time. I'm starting to get nervous every time I choose a new book from the bookshelf. What if I run out?! I think I have a problem. Every time I say no more book buying and start making a wee bit of a dent in the ones that have overtaken my room, I go out and buy more! 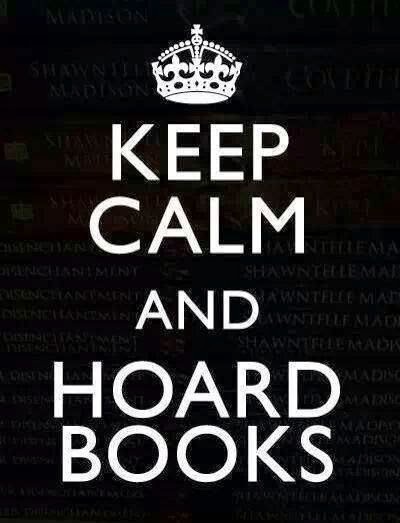 But I guess I'd rather be addicted to and spending money on books than anything else. I know the feeling. Even when I have 10 books to read, I panic when I get below that. Ha! I hear ya. That's usually when I hit the library.